It's been almost two years since the Hexacore Intel Core i7 3960X Sandy Bridge processors launched. In that time, quad core Sandy Bridge parts remained all time favorites amongst enthusiasts due to the gains in performance and overclocking, yet the hex core Sandy Bridge didn't quite earn the same fanfare. Most end users said that the Core i7-980X Nehalem was just too good a processor to let go of. And then Ivy Bridge (and Haswell) got too hot because it had limited die surface for transferring heat to the heat sink. It seemed that Intel had a bit of a problem with getting more chips out there for the right reasons. With an Intel Core i7-4960X Extreme Edition (aka Ivy Bridge-E) processor and ASUS X79 Deluxe in hand, we evaluated both component performance characteristics and end user experiences in the lab. Join us for a look at the company's latest hex core and the latest X79 motherboard technologies. What makes Ivy Bridge-E (IVB-E) fast? 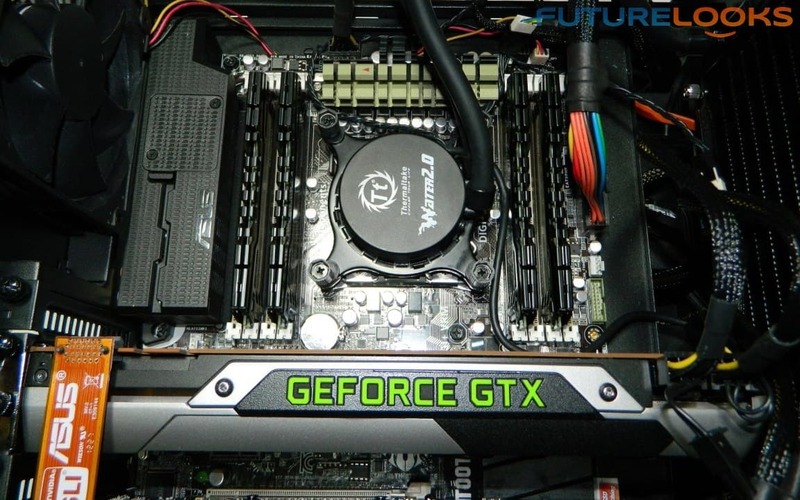 There are three key features: 6 cores with 12 active threads doing all the work, 4 channel integrated memory controller that supports 1866MHz DDR3 standard, and 40 PCI Express lanes which works in unison with any motherboard sporting the X79 chipset including our ASUS X79 Deluxe test board. As with previous 3rd and 4th Generation processors, the K SKU series processors are the best for overclocking. They may also be built with the best silicone but that's mainly speculation. Turbo frequencies also reach 4 GHz in this latest revision. One of the more intersting engineering features is that the PEG and DMI down-scale when the BCLK is increased. Currently, any IVB or Haswell processors can get unstable quick when increasing the BLCK so this can help add a bit more overclocking headroom with less instability. Another key aspect of IVB-E is that the CPU continues to use the LGA 2011 socket, even though the X79 chipset will receive some key updates. Typically, INTEL will change up the socket with any significant changes, but we are happy that they left well enough alone this time, unlike what they did with Haswell. That's going to save users some hassles and cash. 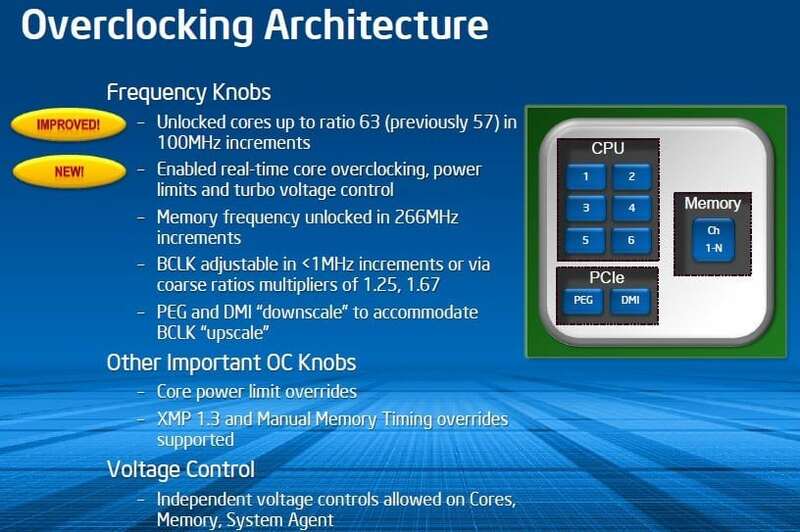 Architecturally speaking, the 1.86 Billion transistor count IVB-E processor has better memory overclocking potential. More memory manufacturers have been capable of overclocking their CPU and systems to 3000 MHz versus a very limited, sketchy 2600 MHz on IVB or Haswell. 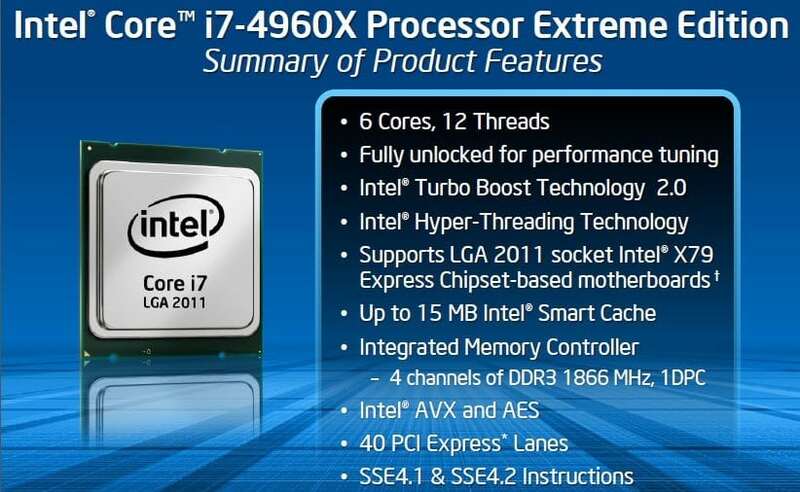 The Intel Core i7 4960X CPU will hit the shelves at around $1049.99 USD. 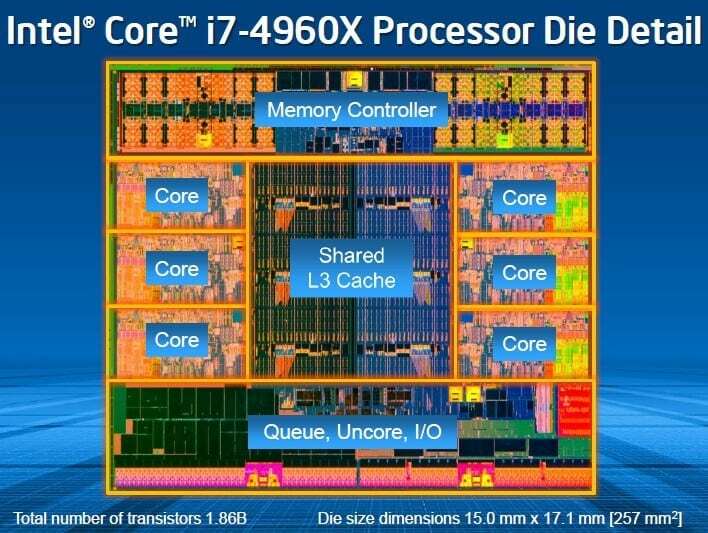 It will be joined by two more Ivy Bridge-E processors: A less expensive hexacore 4930K at $579.99 US and a quad core 4820K at $329.99 US. Here is where I start questioning what exactly Intel is doing. Like the Core i7-3960X, the Core i7-4960X does not come with any CPU cooler in the box at all. 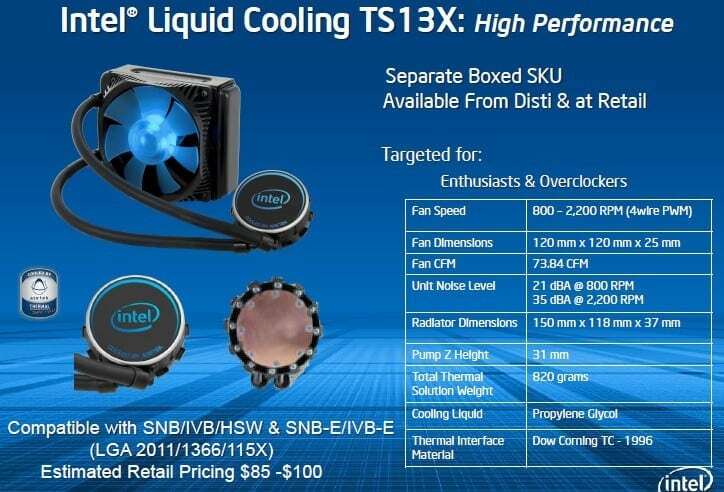 In fact, the Intel badged Asetek liquid cooler above is actually aftermarket and users will have to purchase it separately. In fact, there aren't any actual lists of certified coolers. Considering that this is a 130 Watt TDP processor, I recommend higher end air and liquid CPU coolers. Ones that come to mind immediate are the Noctua NH-D14, which is our standard for testing, and perhaps the Thermaltake Water 2.0 Extreme with its 240mm radiator. Both have passed our rigorous testing and receive our full blessing for larger cooling jobs. With all the preliminary info out of the way, let's put together the parts we need to test this processor properly!